Your property is one of the biggest investments you’ll ever make. Whether it’s your home or business, it represents the culmination of many years of hard work, savings, effort, and pride. At Venture Construction Group (VCG), we know that a lot of thought goes into your property location, planning, reconstruction, build, restoration and/or renovation project. As a leading construction company with over 20 years of experience, we provide the latest technology and services to help you protect your investment. An emerging technology growing in popularity in the construction industry includes utilizing aerial drone footage during the property inspection and on the jobsite. Drone footage provides rich, detailed information including photos, aerial footage and video on the condition of your roof and structural elements. It’s important to get your property inspected regularly to detect any irregularities including structural damages and leaks and to mitigate further deterioration that can be greatly exacerbated by upcoming storm events. Using aerial drone technology in the property inspection and throughout the project is now an essential tool in construction and restoration. VCG is an early adopter of drone inspections since the days the technology hit the market in 2015. Since then, unmanned aircraft systems (UAS) have been experiencing major growth in the United States and throughout the world. According to the U.S. Federal Aviation Administration (FAA) Aerospace Forecast, Fiscal Years 2017-2037, 28% of drones are currently being utilized in construction and industrial inspections and that number is growing. Drone footage helps construction companies serve customers in entirely new ways. The real-time data and images are important elements for surveying, data collection and full-scope property inspections. Drone photos and footage provide highly detailed information that can identify issues before the project even begins. Drone footage also identifies damage after a major storm event. 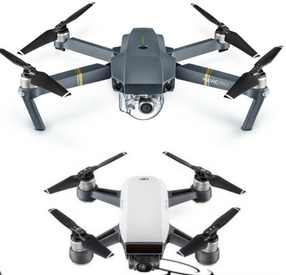 Property inspectors can now easily detect hail, wind and water damage and any structural issues with the drone’s pixelated accuracy. At VCG, we’re excited to utilize this powerful technology and help save our clients a lot of time and money. Drone 4K/3D technology has literally revolutionized the property and roof inspection process. Drones can go more places than a human can and provide an extremely high level of accuracy. Certain drones are equipped with thermal signature detection software that provide reports on the presence of hotspots or leaks, and surveying software for larger building projects. Drone usage popularity is growing because of the highly accurate data provided. With that being said, not all drone operators are created equal. Utilizing a drone to provide property inspections requires dedicated training. VCG provides full scope property inspections utilizing the latest 4K/ HD Drone Mapping to assess roof and exterior condition. 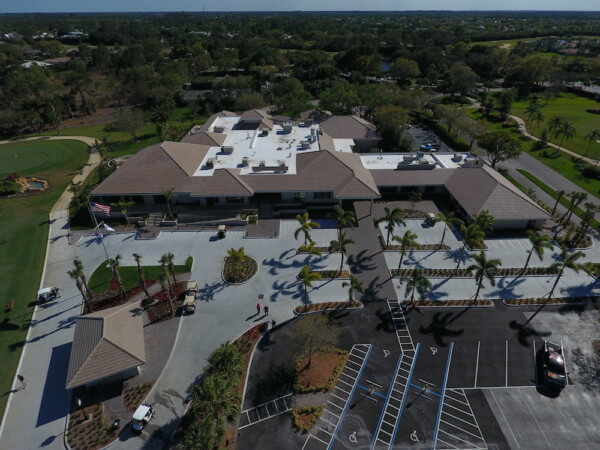 Drone inspections provide detailed accuracy, high definition photos, aerial overview footage, video and documentation required for insurance restoration projects. With over 20 years of experience and the industry’s top accreditations, VCG is a full-service general contractor that provides construction, remodels, renovations, property management services, storm damage repairs, consulting, independent 3rd party property damage assessments, and 24/7 emergency services to residential and commercial property owners. VCG is proud to be one of the first in the industry to implement 4K/ HD/ 3D Drone Mapping in property inspections to provide high quality service to property owners.